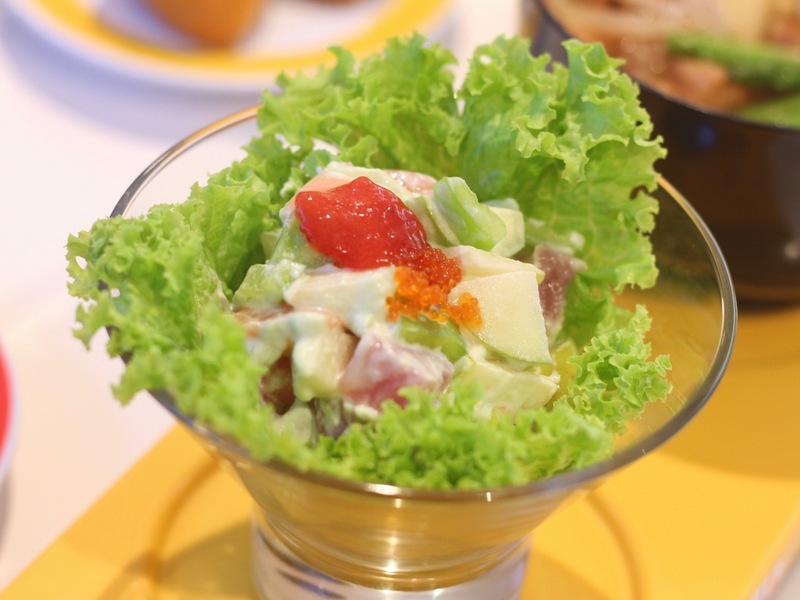 Kuwait's entry is a salad with some salmon, avocado, tuna as ingredients, mixed with a wasabi creamy sauce and topped with a strawberry. 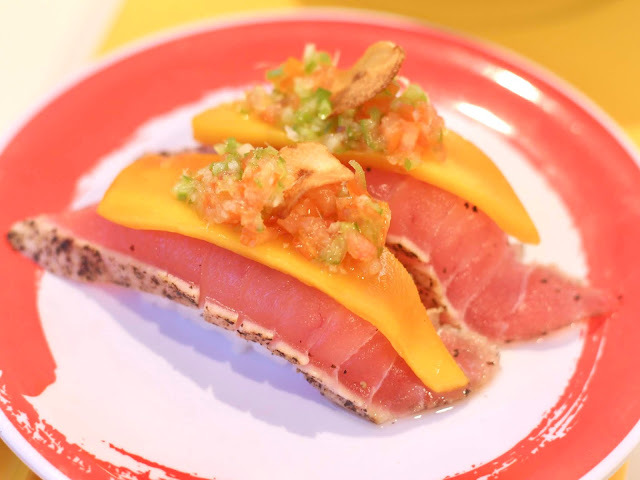 The tuna nigiri with mango salsa from the Philippines brings a contrast of flavors. The mango gives it a sweet flavor, while the salsa gives it a bit of a spice. This one from the United States is a bit puzzling, but it tasted good, nonetheless. It's a bed of rice topped with diced tuna and kimchi, presented inside a soft and sweet tofu skin. 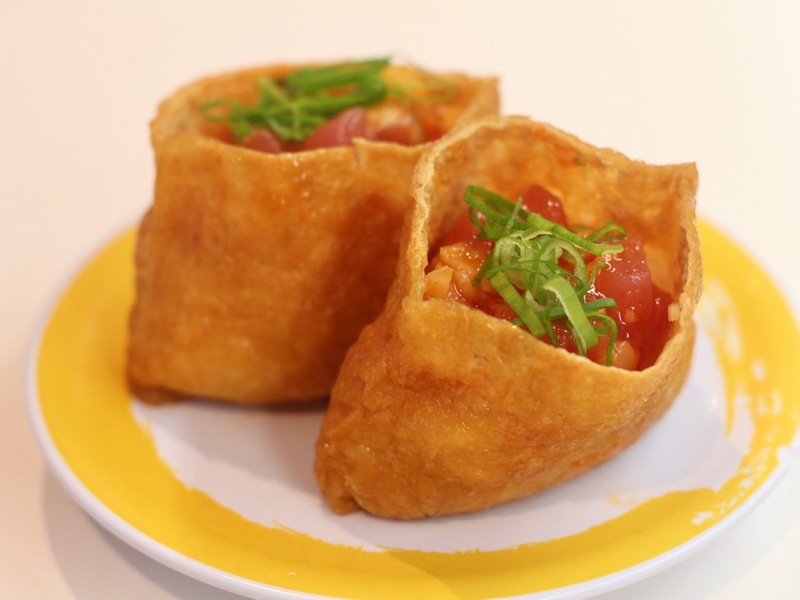 The tuna cheese harumaki roll is a sushi wrapped in a spring roll that gave it a bit of crunch, topped with some cheese and sesame seeds. And since I am a fan of cheese and anything crispy, of this one won me over, too! I can't believe I was able to get a shot of this but forgot to gave it a try! I'm sure it would have been delicious. 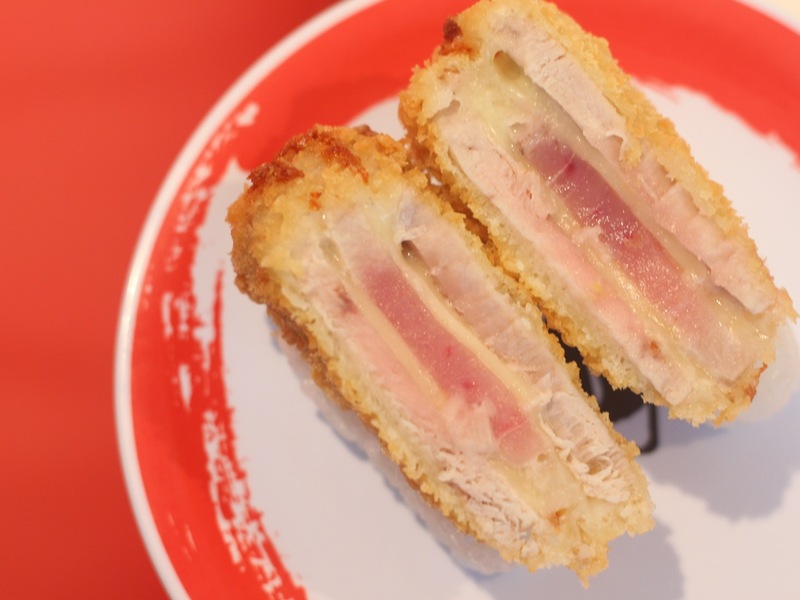 I guess I'll have to add this to the list of items I will try when I return to Genki soon. 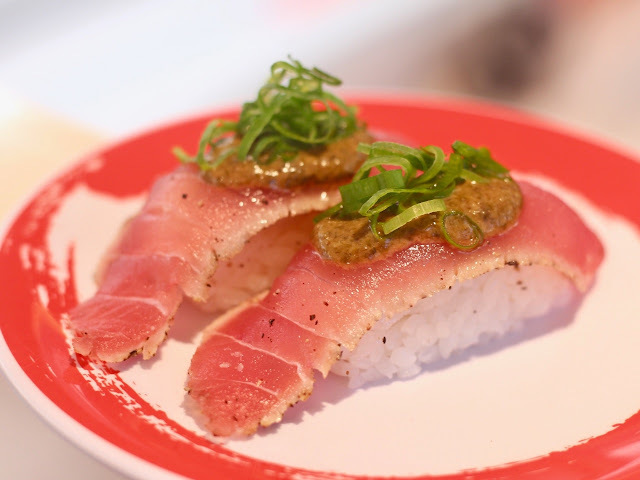 The layered tuna cutlet may be a simple dish, but it sure wasn't difficult to appreciate. 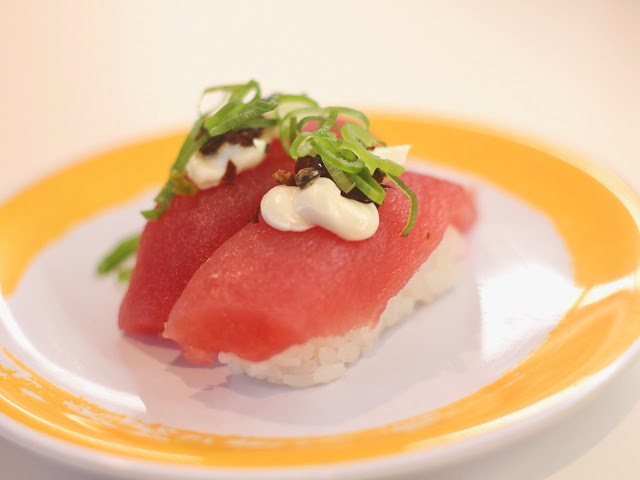 The cream cheese on top of the tuna just gave it a denser texture without drawing the attention away from the tuna, which was the highlight of the sushi. 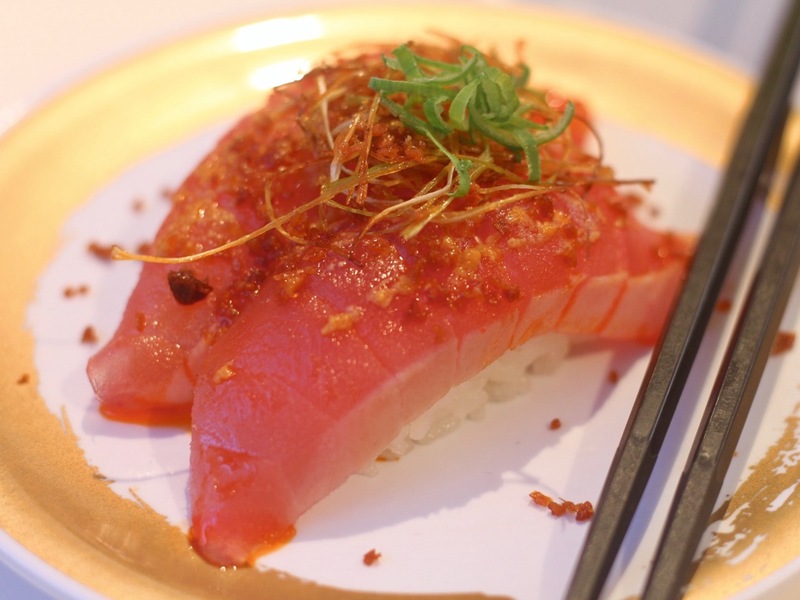 Of course, saving the best for last is this year's winner - the spicy tuna from Hong Kong! It had a tolerable spice level, and a nice combination of flavors. 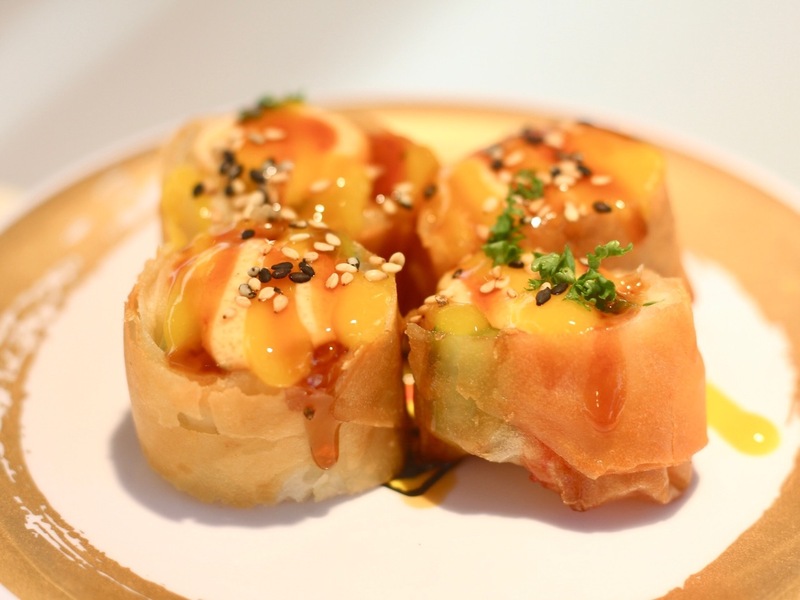 There's no doubt why this one was voted best. It was my favorite! 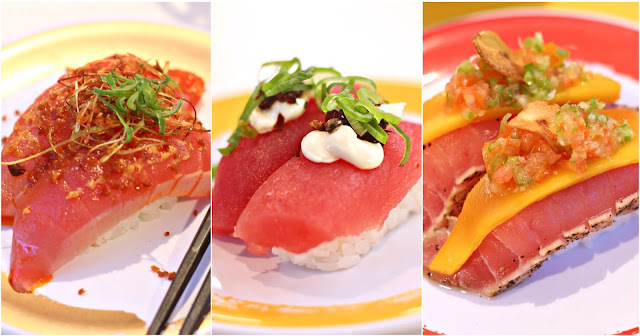 These creations will be available at the Genki Sushi branches starting November 10, 2018! Hurry and try them while you can!